When I was a little girl, I loved the merry-go-round. LOVED IT! Every time I saw one, my eyes would sparkle, my heart would start to pound, my hands would get all sweaty and my feet would jump up and down. Even my stomach got in on the excitement. 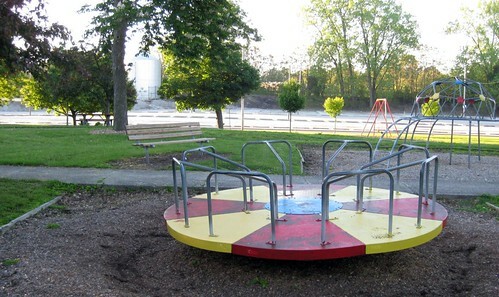 As soon as it knew a merry-go-round was in our near future, it would start to do flips. I hopped on and the spinning began. Round and round and round we went. It was sooooooooooo great. What was there not to love about this?! After a few more times around, great would start to ween and "not so great" would begin to kick in. so was whatever I had eaten earlier in the day. I knew it would happen (And, so did my mother!) You see this didn't happen just once, or every now and then. It happened every single time a merry-go-round and I met up. Every single time. And, (not that you probably want to know this tidbit of information) I didn't vomit just one time and then go back on my merry little way. No, I would vomit and vomit and vomit until my mother was able to give me medication to put an end to the unpleasantness. Do you think this ever stopped me from hopping aboard whenever a merry-go-round called my name? Only occasionally, on rare days when the voice of wisdom was able to shout louder than my own voice of foolishness. I'm sure by now you are wondering what this story from my childhood, (and possibly yours, too!) has to do with Proverbs. I knew if I hopped aboard a merry-go-round, I would vomit. I knew it. And yet, I allowed my desire for a few moments of fun, delight, and sheer enjoyment to talk me into something that I had to "pay for" for the rest of the day. Doesn't make much sense, does it? But, have you ever noticed that sin doesn't make much sense either? It starts with a desire, a temptation, with a glance that catches our eye. Our heart starts pumping and our hands sweat and before we know it, the sin is all we can think about. even though we know the end result. only to discover they are nothing more than toxic substitutes that poisin our life. Maybe this is why, each time I would leave for school or head for the park, my mother would remind me, not of the fun I could have on the merry-go-round, but of the ugliness that was sure to follow. "Don't get on that merry-go-round! You don't want to be throwing up all night......DO YOU?" to the vomit of this world. life, and life more abundant. Isn't this what you are looking for, after all? Isn't this the true quest of your heart? Don't lazily slip back into those old grooves of evil, doing just what you feel like doing. You didn't know any better then; you do now. As obedient children, let yourselves be pulled into a way of life shaped by God's life, a life energetic and blazing with holiness. God said, "I am holy; you be holy." Found this from The High Calling tweet, and I love this! Yes, yes, yes. I've actually tried going to God first last week, instead of my usual last-on-th-list-if-I-still-feel-bad after trying to "solve" bad feelings myself. As if! 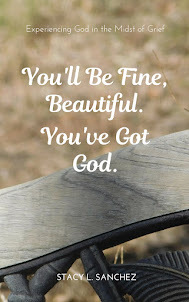 And it's amazing, really, what happens when you go to Him first. Thanks for a great post and a great reminder. Stacy this is exactly truth... Eduardo and I were just talking about this today! To desire Jesus more than sin... Oh the freedom. O taste and see that He is good. Blessed is the one who trusts in Him!